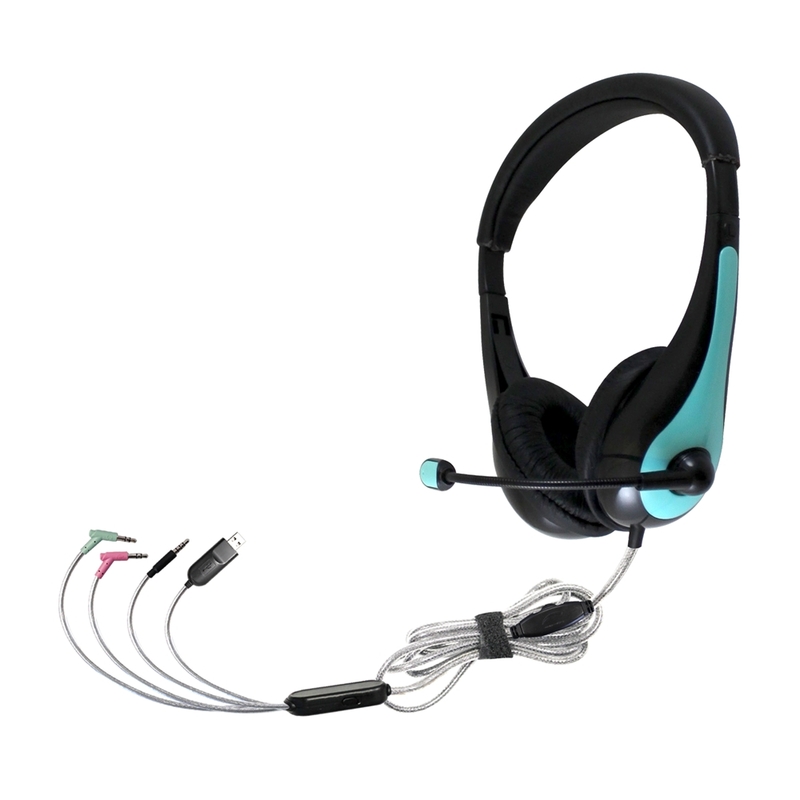 HamiltonBuhl TriosAir Plus Personal Multimedia Headset with Gooseneck Mic - Connect to Any Device! HamiltonBuhl has redefined what a true multimedia headset is! 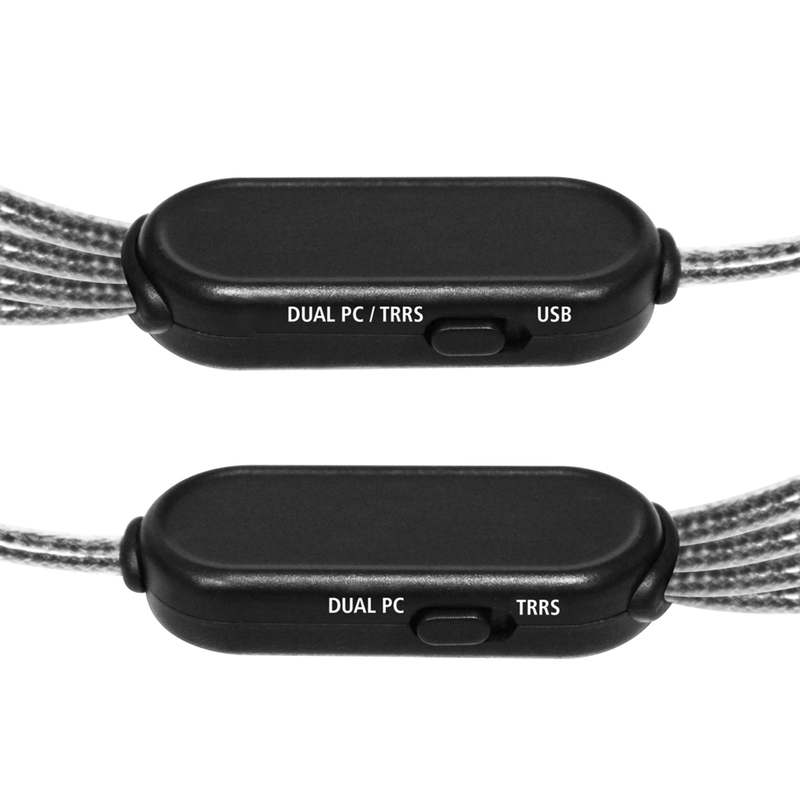 All-in-one and one-for-all, TriosAir Plus™ headset, easily connects to any of your devices from dual plug PCs to one-plug TRRS or USB Chromebooks, tablets and smartphones! TriosAir Plus™ is the only lightweight, on-ear headset you will ever need to connect with any of your devices, whether old or new, PC or Mac, Chromebooks, tablets, smartphones and media players! 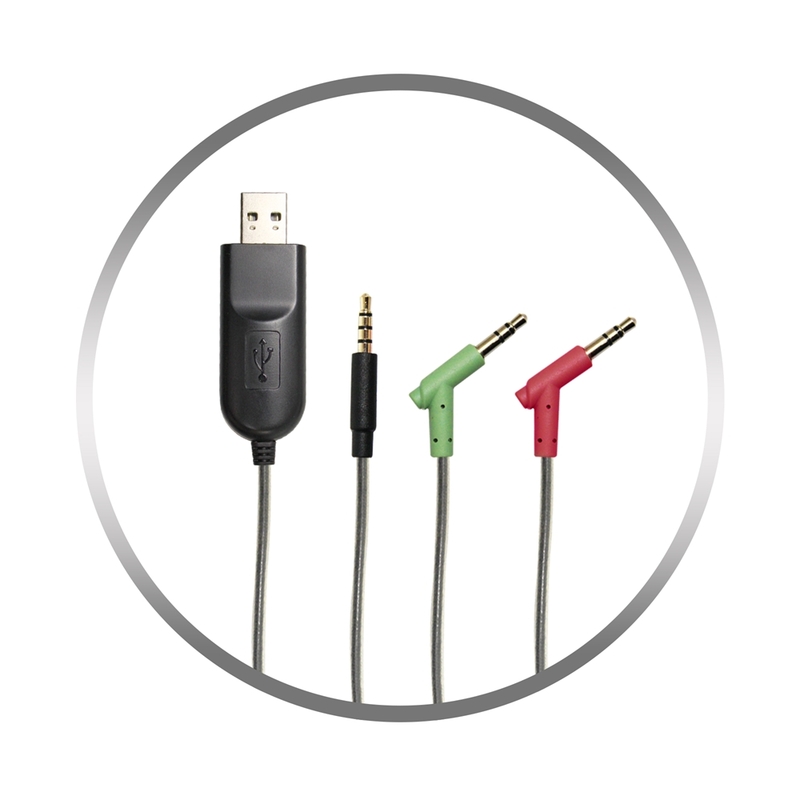 The chew and kink-resistant Dura-Cord™ on TriosAir Plus™ has been uniquely designed to split into the plugs needed to connect to all devices. It will become your go-to solution from first use, eliminating the need to switch headsets. In addition to the exclusive Dura-Cord™ ending in a compact quartet of plugs, TriosAir Plus™ features the lightweight, on-ear design, leatherette padded, adjustable headband for easy storage and a gooseneck microphone for maximum versatility. This stylish headset delivers superior sound quality with soft, leatherette ear cushions designed to provide all day comfort. Built to accommodate all devices, TriosAir Plus™ is the headset that will meet all your requirements!